SEEH Al-SARYA ENGINEERING LLC bags Best Contractor in Social Investment Projects Award. Petroleum Development Oman organized a competition which covered a range of ICV Awards presented to Small and Medium Enterprises (SME’s), Local Community Contractors (LCC’s), training institutes, Contractors, National Objectives employers and other vendors in acknowledgment of various contributions made towards In-country Value. 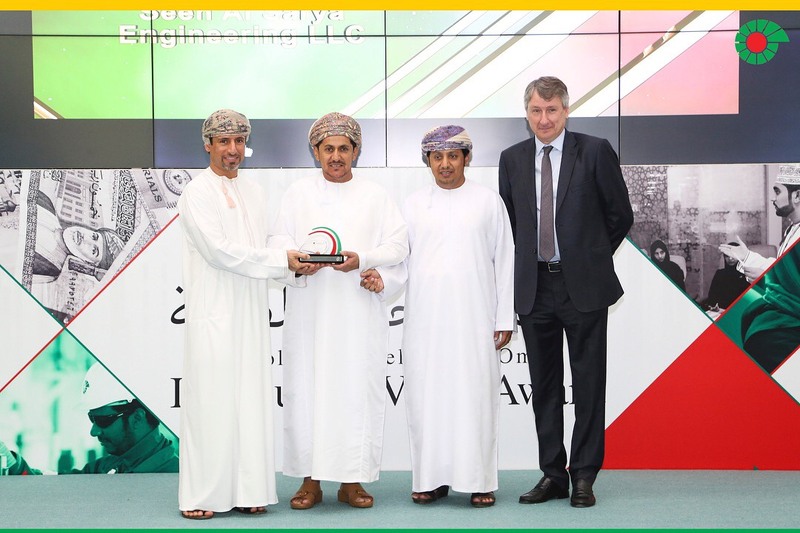 The award ceremony was focused on recognizing Organizations who contribute towards creation of job opportunities, training & redeployment for Omani job seekers. At this glorious ceremony hosted on Tuesday, 7th of August 2018, Seeh Al-Sarya Engineering LLC (SAS) was presented with the Best Contractor in Social Investment Projects Award. The Chairman of SAS, Mr. Mohammed Said Bin Rashid Al-Darai, & the Chief Executive Officer, Mr. Saif Said Rashid Al-Darai were honored to receive the prestigious award from His Excellency Mr. Salim Bin Nasser Al Aufi, Undersecretary of the Ministry of Oil & Gas and the PDO Managing Director Mr. Raoul Restucci. Seeh Al Sarya Engineering LLC, recognizes the fact that, as a community we need to ensure the impact of social investment in our society & the country as a whole by encouraging the youth at innovation & development, encouraging new ideas and new enterprises, youth sports activities, etc. Seeh Al Sarya Engineering LLC takes pride in receiving the award for its various contributions such as promoting entrepreneurship by guaranteed business, its access to underdeveloped areas – Graded road, focused approach to the tribal community, creation of jobs & business opportunities at remote areas, furnishing of educational institutions and assistance to children, providing support to cancer associations and various other contributions. We at SAS, feel honored to be recognized for the efforts towards the community and express our gratitude to the event organizers – PDO, for this opportunity given.